To swiftly source replacement parts, automobile repair shops in Norway can connect with manufacturers and wholesalers via a dedicated trading platform run by Vitec AutoData. With demand growing and customer expectations changing, the company wanted to ensure greater scalability while cutting TCO for its core infrastructure. Wholesalers, retailers and buyers of automotive spare parts wanted new ways to connect with Vitec AutoData’s platform—how could the company satisfy customer demands and deliver even better services? Vitec AutoData is driving ever-higher performance and offering customers new ways to engage its services, by migrating its core systems to a super-reliable IBM® System z13s™ mainframe. When your auto repair shop needs to source a spare part to fix your car they turn to specialist automotive parts trading platforms where they can find every nut and bolt imaginable from dedicated retailers and wholesalers. Not only do buyers use such platforms—retailers, traders and wholesalers do too. Geir Erland Fladby, System Administrator at Vitec AutoData, says: “Vitec AutoData provides hosting and managed services to importers, wholesalers and retailers of automotive parts—in essence, we provide a comprehensive platform for them to trade on: everything from connecting buyers and sellers, to helping clients make sure their stock matches demand. With this business model, we have enjoyed decades of success and are always looking for new ways to diversify our services and adapt to the changing marketplace. To meet these changing expectations and gain scalability to support ongoing business growth, Vitec AutoData looked to refresh its IT architecture, to ensure that it continues to provide highly secure, scalable, compatible and reliable services. Having used IBM® zEnterprise® 114 (z114) for a number of years, Vitec AutoData approached IBM to explore ways the company could refresh and re-architect its data center. Geir Erland Fladby continues: “We have been using our z114 server to run our mission-critical operations for some time now, and find the reliability, flexibility, security and performance of the z Systems® platform to be a perfect fit for our business model. For this reason, we have decided to upgrade to a new IBM System z13s™. Vitec AutoData uses its IBM z/VSE partition to run and develop its core applications in COBOL and CICS. To complement these core services, and to support new front-end applications connecting to them, Vitec AutoData now runs around 25 instances of SUSE Linux Enterprise Server for z Systems as guests on a z/VM partition. For storage, Vitec AutoData has selected an IBM DS8884 array and will use IBM Metro Mirror (peer-to-peer remote copy) on a one-off basis to move the production data from its existing IBM array. It will then physically move its existing IBM tape library to the new data center, where it will be used to back up data stored on the new DS8884. Once Vitec AutoData has fully migrated its IT systems to its new IBM System z13s, the company expects to make significant cost savings, further improve system performance and achieve greater agility. The new IBM enterprise server will enable Vitec AutoData to scale to meet increased demand and create new ways for its clients to connect to its services. Vitec AutoData will use new applications and new tools on Linux for z Systems, such as Apache Tomcat, MariaDB, SQLlite, open source languages, GNU development tools, the optimized decimal floating point library libdfp, and the CVS Concurrent Versioning System. Geir Erland Fladby elaborates: “Building a virtualized server farm with SUSE Linux Enterprise Server on the IBM System z13s provides us with a scalable and cost-effective solution for the long term. Indeed, we will achieve a much lower total cost of ownership than ever before, as we will have significantly reduced our software licensing and subscription costs by moving to SUSE Linux on z Systems. 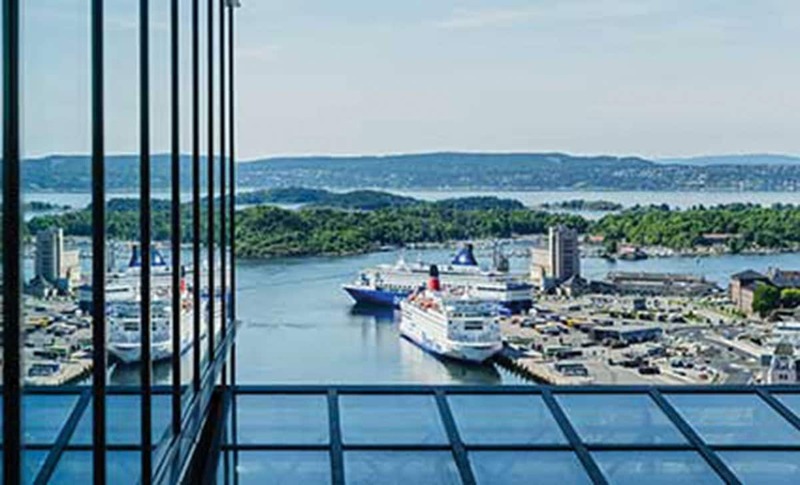 Established in 1979 and headquartered in Oslo, technology company Vitec AutoData provides hosted and managed IT solutions to importers, wholesalers and retailers of automotive parts and components, offering a full package of solutions across sales, procurement, billing, accounts receivable and accounts payable. © Copyright IBM Corporation 2017. 1 New Orchard Road, Armonk, New York 10504-1722 United States. Produced in the United States of America, May 2017. IBM, the IBM logo, ibm.com, System z13s, zEnterprise, z/VM, and z/VSE are trademarks of International Business Machines Corp., registered in many jurisdictions worldwide. Other product and service names might be trademarks of IBM or other companies. A current list of IBM trademarks is available on the web at “Copyright and trademark information” at ibm.com/legal/copytrade.shtml. Linux is a registered trademark of Linus Torvalds in the United States, other countries, or both. This document is current as of the initial date of publication and may be changed by IBM at any time. Not all offerings are available in every country in which IBM operates. THE INFORMATION IN THIS DOCUMENT IS PROVIDED “AS IS” WITHOUT ANY WARRANTY, EXPRESS OR IMPLIED, INCLUDING WITHOUT ANY WARRANTIES OF MERCHANTABILITY, FITNESS FOR A PARTICULAR PURPOSE AND ANY WARRANTY OR CONDITION OF NON-INFRINGEMENT. IBM products are warranted according to the terms and conditions of the agreements under which they are provided.